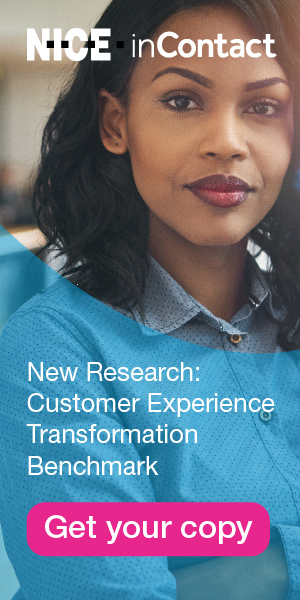 An employee-centric culture transforms contact center into world-class customer care operation. At Carbonite, it is a responsibility that is not taken lightly. The company is well-known for its reliable, secure and easy-to-use backup software for individuals and small businesses. In the past few years, though, its contact center has taken center stage for enhancements that have transformed the business into a world-class customer care organization. The customer care operation was recently recognized by the American Business Awards with 11 Stevie Awards in various customer service and contact center categories, and a 2016 People’s Choice Stevie Award for Favorite Customer Service, Computer Software (100-plus employees). Carbonite’s remarkable transformation began less than three years ago when VP of Customer Care Robert Frost joined the company. Frost, winner of the 2016 Gold Stevie Award for Contact Center Leader of the Year, was immediately excited by opportunities for driving improvements in the business. “We had a great team, but the results weren’t showing what they were capable of,” he recalls. Led by Frost, the team embarked upon a continuous improvement journey that focused on multiple phases: boosting customer satisfaction ratings from good to great; delivering a better experience to employees and customers; converting the customer care operation from a cost center into a revenue generator; and driving a more efficient support model. Employee-friendly policies and practices also were put into place. For instance, the quality monitoring program was redesigned to focus on opportunities for learning and improvement, rather than getting dinged for errors. Training, likewise, was upgraded and expanded to provide agents with ongoing skills enhancement and advanced technical training in their profession (see the section on “World-Class Training”). Frost believes that management should continually demonstrate to employees the value that they bring to the organization. In addition to frequent celebratory events to acknowledge and thank staff for their hard work, the center has several formal recognition and award programs focused on customer-centric performance. The impact of the initial employee-centric culture change was immediate. Customer satisfaction ratings jumped from 78% to 94% in just a few months. “Every operational and service delivery employee contributed to that,” Frost says. While proud of his team’s accomplishment, with 6% of the customer base still not fully satisfied, he felt that there was more work to be done. The CSRU’s efforts are the first step in a continuous improvement process. Everything that is learned from the experience—opportunities to improve products, policies, processes or training—is then reviewed, planned and executed. “It wasn’t easy and it didn’t happen overnight,” he says. “We coached our existing staff to look for ways to help our customers to be more successful.” Importantly, agents are not responsible for selling, he adds. They don’t attempt to overcome objections or “hard sell” the customer. Instead, they are taught to identify opportunities within the call to provide value for the customer, such as another computer the customer owns that is not being protected, or an external hard drive that is not connected. “Simply by focusing on the value of the opportunity for the customer, not only did we have an incredible year in sales, but the satisfaction level of the customers who were upsold has been higher than our general population.” Retention for those customers is higher, too. “They stay longer because they’ve now got solutions that truly meet their needs,” he points out. Although not required, the company supports frontline agents who wish to pursue professional certifications. Carbonite has put several trainers through the Microsoft Certified Trainer program so that they could provide frontline staff with certification classes onsite. The company also partnered with computer-based testing provider Pearson VUE to become an approved Microsoft testing center. “MS certifications are important to people who have taken a technical path in their career,” Frost points out. “Now our employees can test directly onsite at no cost to them.” Since rolling out the program, every agent who has participated has been certified. “We have a 100% pass rate,” he adds. The goal for Carbonite’s customer care management and training teams is to make sure that every agent is successful from their first day. New-hires’ progress is monitored and reviewed on a weekly basis. “If they’re not keeping up, we will interrupt the flow of the training and make sure that they have additional resources,” Frost says. Training support for new agents extends beyond the classroom. Every new-hire is assigned a mentor—a top-performing senior agent who sits with the new-hire to review training checklists and share best practices. The new-hire will shadow his mentor until he feels comfortable handling calls on his own—and both must agree that the new-hire is ready. Once on the phones, agents are never without quick access to support. A team of floor-walkers armed with tablets, called the CarboKnights, is always on hand to answer questions and provide guidance. The nine-member team spends 70% of its time walking the floor and 30% on the phones to keep their skills sharp, Frost says. Each agent has a green flag that they can raise if they have a question or need help with an issue, and within 20 to 30 seconds, a CarboKnight will be standing by their side ready to help. After answering the agent’s question and making sure that he or she feels comfortable moving ahead with the interaction, the question is documented using a simple taxonomy management tool created in-house. Questions asked by new-hires or existing staff are then tracked and reviewed by the training team. The content is used to update new-hire training, and/or to send out refresher training videos to the entire staff, says Frost. The team uses Brainshark (a web-based application that allows users to make quick video presentations) to create a self-paced training session with a quiz at the end. “It allows us to punch out trainings and schedule them in rapid succession without having to take people off the phones in large classes, which puts our service levels at risk,” he notes. The process doesn’t end there. The contact center’s management, recruiting and training teams meet monthly to review any new-hires who didn’t make it through the training process, or who may have realized that the job wasn’t a good fit for them. Carbonite’s customer care center staff is not merely engaged, but agile and ready to respond to change. It’s a critical factor in the operation’s continuous improvement effectiveness. Frost attributes a large part of that to the company’s promote-from-within model. Almost every senior manager at Carbonite began as a frontline agent. “We hire for one role: frontline agent,” he stresses. “Our staff knows that if they work hard, they will have the opportunity to increase their responsibilities and compensation, and advance their careers. Our commitment to that has been unwavering.